Click the button below to add the Loss and Thin Black Hair Treatment #Treatments# to your wish list. Relaxers, perms, bleach, hair dye, and any other chemicals that you can think of that you’ve applied to your hair has caused it to dry and become brittle over time. The Loss and Thin Black Hair Treatment is filled with ingredients that will restore and lock moisture in your hair to help heal from its over-processed state. As gorgeous as your hair may look after using styling tools such as high heat press combs, flat irons, and blow dryers they may cause your hair to weaken from all the heat damage. When you take care of your hair it won’t just look good but it will feel good. This product penetrates deep into the scalp and hair to strengthen, repair and protect the hair to make it soft, shiny and manageable. Hair fall is usually caused by tight hairstyles, chemical burns from perms and relaxers, color services, and clogged follicles from chemical laden shampoos, conditioners, and other styling products. This lightweight treatment will assist to thicken, strengthen, and help grow hair to healthy proportions within the first month of use. Argan Oil, sometimes called "liquid gold", is one of the most sought after ingredients for its healing and moisturizing properties that make hair shiny, silky, soft and strong. Argan oil has a high content of vitamin E and fatty acids. Rosehip Oil is a lightweight oil that easily absorbs into the scalp, keeping it well moisturized. 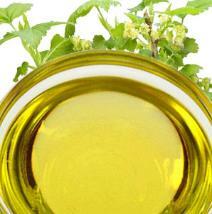 Due to its excellent source of essential fatty acids, this oil repairs and renews damaged hair. Coconut Oil is an essential key component that's added to this product to restore each strand of hair, so it may regain its natural shape and form. Spray the product onto your scalp hair from 8 – 10 inches. Leave it for 2 to 3 hours or overnight. Shampoo the hair as usual. Condition and styling as usual. 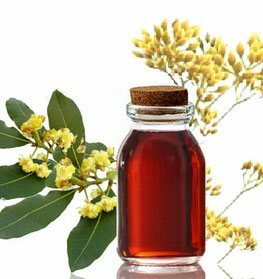 This product can be used as a leave in serum. We suggest that you apply a small amount into your palm and concentrate on the ends and scalp. This product can be used as a sealant. After you have applied your water based moisturizer, you can then add this product as a final step to keep the moisture in your hair for an extended period of time. This can also be use a hot oil treatment. Please place in a separate container and heat up a bowl of hot water and let it sit for about 1 ½ to 2 minutes. Once warm, place on freshly shampooed hair, let it sit for about 5 to 10 minutes, then rinse and condition as usual. For maximum results, place a shower cap to get full effects of product. Try this product out with our Vinegar Nutritive Rinse Cleanser. This combo will give you soft shiny hair that is noticeably thicker. After about 4 weeks, most people notice increased hair growth. If you are losing hair and you are looking for shampoo and conditioner, we suggest checking out our Hair Therapy Shampoo and Conditioner.